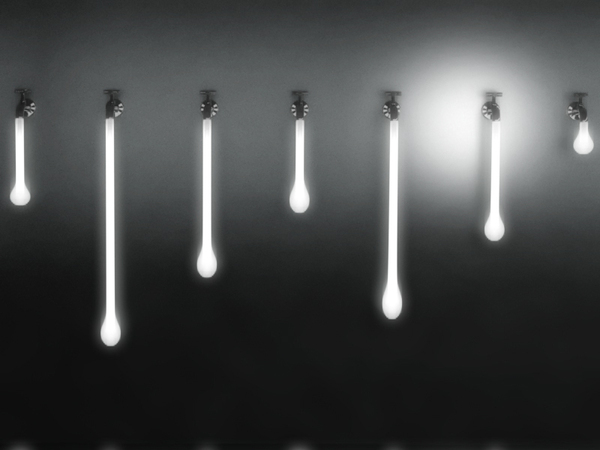 Third prize winner of the Bright LED International Design Competition, designer Rafael Morgan's Light Drop is a play on another source of energy: Water. Morgan wants us to think about how we use energy, or waste it – which is symbolized in the illuminated stream flowing out of the taps. 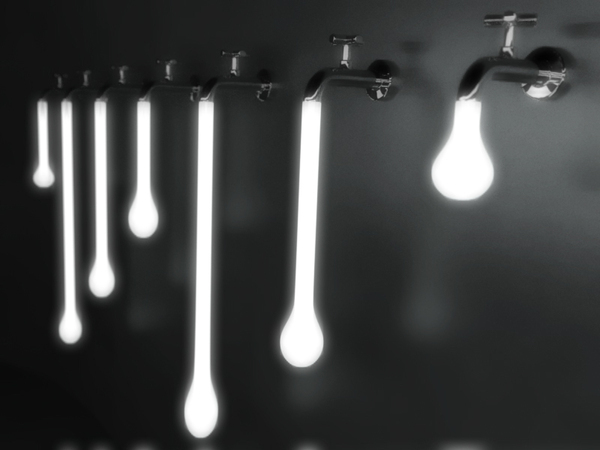 This stream is actually a custom-molded polycarbonate bulb with an embedded, dimmable LED in the faucet. In fact, the lighting controls are intuitively controlled by turning the faucets on and off, like a stream of water the more you turn them on, the brighter the light gets. The Light Drop is sold at Wever & Ducré.